The Russian Federal Security Service acknowledged in a press release early Monday that the Russian navy had fired on the Ukrainian vessels in the Kerch-Yenikale Canal because “they did not respond to legitimate demands by the ships and boats of Russia’s FSB Border Guard Service escorting them to stop immediately and performed dangerous maneuvers”. 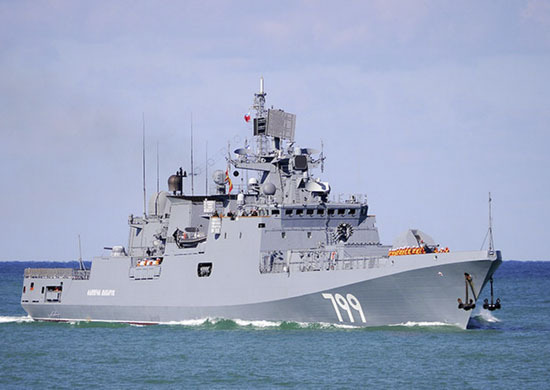 Three Ukrainian navymen were injured, although the Ukrainian government said the actual number was six injured crew members. There was quick reaction to the Russian capture of the three vessels in the Ukrainian capital Kiev on Sunday night as demonstrators protested outside the Russian embassy compound. The Kiev government blames Russia for the escalation in tensions and says its vessels had been coming under intimidation as they sailed in the Kerch Strait and the Sea of Azov near Crimea. Kiev says it had been abiding by a 2003 agreement, which stipulates shared control by both countries of the waterway. In reaction, the Ukrainian Parliament is currently considering a 60-day martial law order. Meanwhile, the UN Security Council is scheduled to discuss the incident in a Monday session. Russia says it has closed off traffic in the strait due to security concerns.